If Apple hadn't introduced iPhone X at a special event on Tuesday, iPhone 8 and 8 Plus would have been its premium priced, stand-out smartphone models for 2017. But even with the new X shamelessly showing off, the relatively less exciting pair of 8s actually offer a compelling upgrade for buyers who want and need less than the absolute best, most expensive option in smartphones. Steve Jobs made "one more thing" into an anticipated meme at Apple Events, but iPhone X took the unusual path of being "the one more thing" that threw the just-previously-detailed iPhone 8 under a metaphorical bus. On Twitter, there were jokes that iPhone 8 suffered the most rapid fall into obsolescence ever. 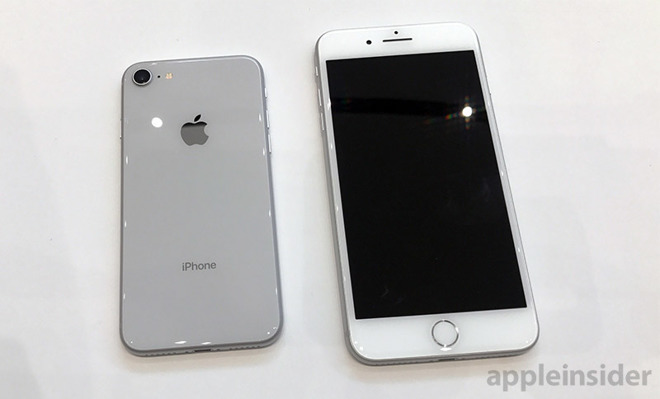 However, outside of technical enthusiasts who are ready to spend $999 or more on the latest and fanciest mobile computer phone, there is actually a major market for iPhone 8 and iPhone 8 Plus. 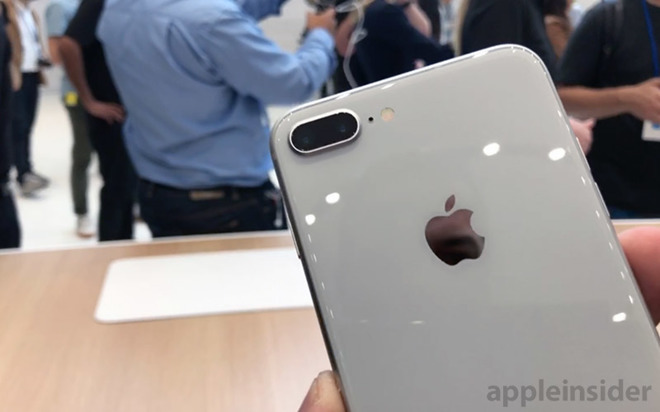 In fact, the majority of new iPhone buyers will almost certainly spring for the significantly less expensive new 8 models, even if they do lack True Depth and the Super version of Retina HD offered by iPhone X. Journalists looking to report on "the new" spent more time playing with iPhone X, but as outlined and demonstrated in the hands on area, iPhone 8 is a solid product that looks great.It delivers as large of a generational leap (if not more so) than last year's iPhone 7 did, without demanding the additional $300 premium of iPhone X. Consider that the majority of the market gets by with a basic Android priced below $300, puts up with white box generic Windows PCs, and, statically speaking, eats whatever goat meat can be obtained rather than the finest Kobe beef chateaubriand available for consumption. Price is definitely a factor in decision making. That said, Apple's iPhone 8 lineup is — outside of iPhone X itself — the most expensive iPhone it has ever offered, starting at $699 rather than the typical $650 for a base new iPhone generation. Clearly Apple didn't care about the memos advising it that low-priced hardware is how one achieves the booby prize of "market share." Remember how much "market share" Nokia, Palm, Motorola and BlackBerry once had? Apple isn't opposed to selling affordable products; it just reduced the entry price of its least expensive iPhone SE to $349. That model is a perfectly serviceable device with a very good camera, fast performance and a high-quality build. However, the price premium of iPhone X over iPhone 8 is just $50 shy the price of a new iPhone SE! Clearly, while some need a low price, others are willing to pay far more. And in between the two extremes there's a mass market willing to pay a bit more, but certainly less than the maximum. That's the zone of iPhone 8 and iPhone 8 Plus. Automakers have long been known to market high-end show off models designed primarily to cast a halo over their more basic offerings. iPhone X appears to be an effort to define the best smartphone one can buy. Underneath it, Apple now has a second tier of fanciness. In fact, in a world without iPhone X, iPhone 8 would have been the "best" models alongside two earlier generations that Apple will apparently continue to sell: iPhone 7 and iPhone 6s, beyond the smaller and least expensive iPhone SE. iPhone X has definitely generated intense interest, but it appears iPhone 8 will continue to make up the majority of Apple's sales. It's as significantly differentiated from the last, best iPhone 7 by its wicked fast A11 Bionic processor; in stand out features (including iPhone X style enhanced Portrait lighting effects and wireless charging); and in its appearance. In particular, the new iPhone 8 features distinctive styling springing from its new polished stainless steel case design, set apart with its glossy frosted glass back, available in three colors. 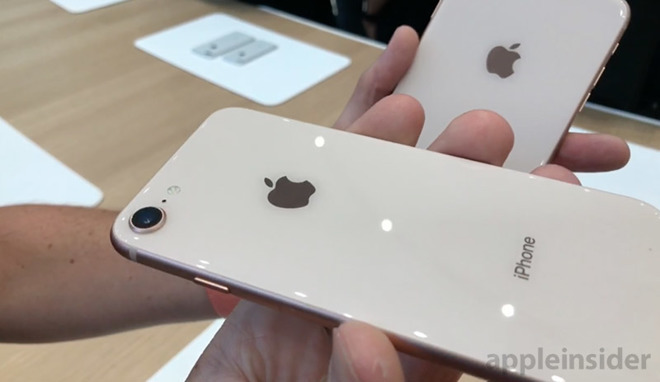 The Gold option, arguably the nicest color option, is exclusive to the iPhone 8 line this year. 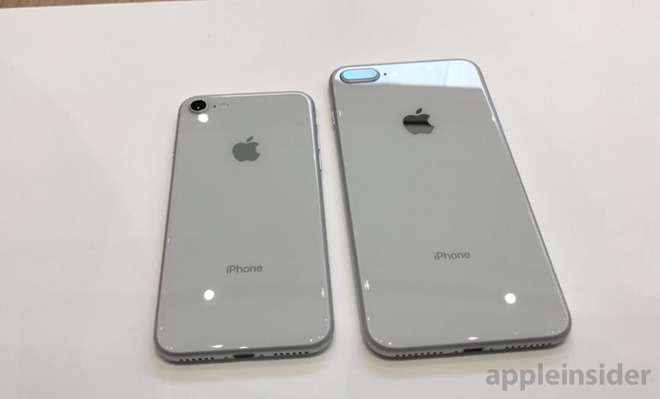 And if you prefer a new iPhone with a white face, you can only get that on iPhone 8, as both the silver and space grey iPhone X have black faces (in part to help hide the True Depth sensor. Even while it's not the most advanced iPhone that can be bought this year, iPhone 8 is still appealing and fresh. And even at its premium price, it's certainly easier to afford. Additionally, users who are concerned about how well Face ID can work, or who like the idea of physical Home button or the familiarity of the existing iOS gestures can convince themselves that they're not just saving money but actually prefer the iPhone 8 lineup. 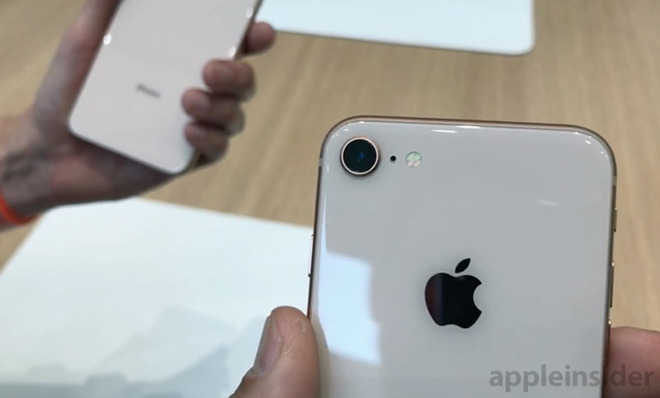 iPhone 8 delivers rear camera features effectively on par with iPhone X, thanks in part to having the same A11 Bionic brain and its built in camera logic supporting new 1080p Slo-mo at 240 fps and 4K video recording at the fast, smooth new 60fps capture mode. 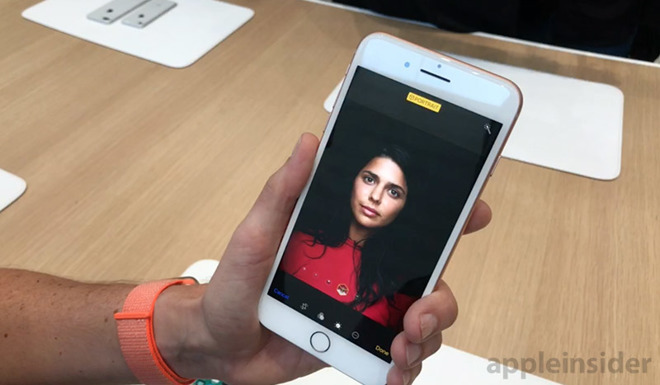 It even features the same front facing camera, although it lacks iPhone X's 3D sensors supporting Face ID and app effects including Animoji. iPhone 8 (like iPhone X) also adopts Bluetooth 5 (versus 4.2 on earlier iPhones), and extends support for new alternative satellite positioning systems: Europe's Galileo Japan's QZSS, in addition to the American GPS and Russian GLONASS supported on previous iPhones. It's basically iPhone X without the ultra-premium frosting and a commensurate price tag. Apple's iPhone 8 and 8 Plus handsets are offered in three colors — silver, space gray, and a new shade of gold — and go on sale Friday, Sept. 15, with shipments slated to arrive on Sept. 22. Prices for the base level 64GB iPhone 8 and 8 Plus are pegged at $699 and $799, respectively, while step-up 256GB models run $849 and $949.